When asked what song he would like to learn, Jacob said, “Taxman” by the Beatles. He was a little guy at the time (about 8) and just starting out on guitar. How did Jacob know that song? It’s not one of the common Beatles tunes one would hear on the radio. Turns out that Jacob’s dad is a Beatles fan! Marco wanted to learn “Patience” by Guns and Roses – his mom is a big fan. 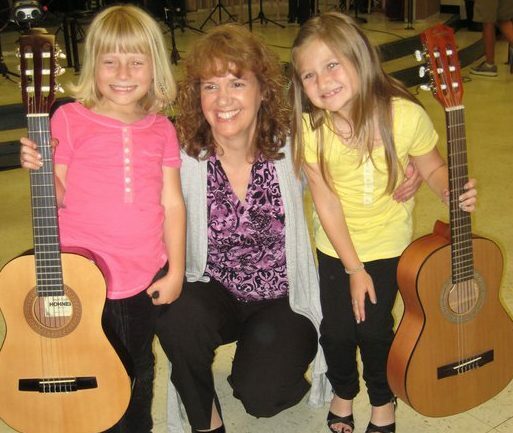 Brenna wanted to play, “Greensleeves” – it’s her gramma’s favorite song. Parents often ask me how they can expose their young children to a variety of music. They inquire about classes or workshops. But, in reality, parents are the first and best teachers. Your kids are always watching, learning, and absorbing everything you say and do. 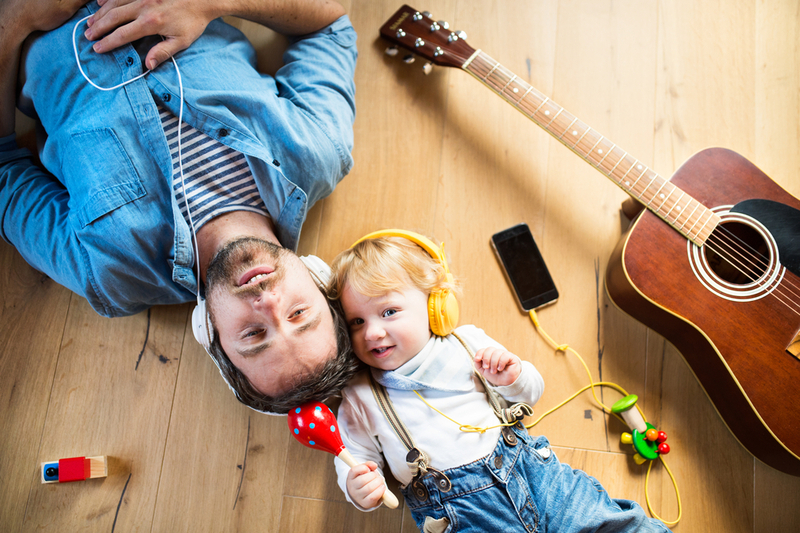 There is an easy way to expose your child to great music: Create a playlist for the car and home sound system. And, these days, it’s easy to ask “Alexa” or “Google” to play a tune. Sesame Street does a wonderful job of exposing children to a variety of topics through short segments. These meet the need of a child’s shorter attention span. When creating your playlist, mix it up with a variety of genres and keep the segments short. For example, rather than choose the entire Mozart piano concerto, pick out one of the movements. Place that between a song by James Taylor and Nat King Cole. Then line up a bit of Chet Atkins, followed by Elvis, a prelude from a Bach Suite, a Beatles tune, etc.